Lithuania sees huge rise in Indian students by article of Times Of India..
VILNIUS: Indian students have started to explore new parts of Europe for higher education and many are headed to Lithuania. This year-2016, the numbers are expected to breach the 500 mark. In 2015, the QS World University Rankings published a list of the best universities in emerging Europe and central Asia. Four Lithuanian universities made it to the top 100. Vilnius University was placed 32nd, Kaunas University of Technology was placed within the 61-70th rank and Vytautas Magnus University – 81-90th places. We would like to take this opportunity to introduce a new education destination, “POLAND”. ü Settlement option (Blue Card). Work Full time. ü Various Scholarships offered to students whilst studying such as GE Foundation, etc. Students can also study & spend 6-12 months in partner Universities in US, Canada, Australia, New Zealand, Japan, Singapore, India, Europe, and many other countries at no additional cost. This is a great feature for those who wish to experience other countries such as US, Canada, but cannot get direct admissions to the Universities or cost is a factor; financial issues, etc. Education Poland is a unique initiative specially designed to offer Polish Higher education & Research opportunities to International students & professionals. We work with Universities on long-term agreements to recruit International students from all over the globe offering Admissions in different fields of education (Medical, Engineering, Management, etc.). WE PROVIDE SCHENGEN VISA TO PARENTS WHO WISH TO TRAVEL WITH THEIR WARD TO POLAND. WE ALSO HELP BUSINESS OR GENERAL VISITORS TO OBTAIN SCHENGEN VISA. Admissions to study at the Faculty of Aeronautical place under the principles set out in the Order of the admission procedure of the Technical University in Kosice (Annex 1 to the Statute TUKE). The Technical University of Košice was founded in 1952, but its roots must be sought much deeper in the past. 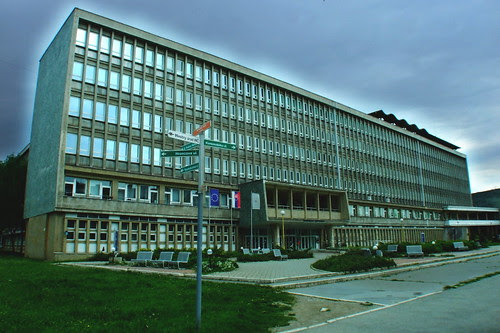 The Faculty of Aeronautics of the Technical University of Košice was established on 1st January 2005 as a successor of the Air Force Academy of Milan Rastislav Štefánik in Košice, which has been a prestigious educational institution in Europe and in the world providing university education for pilots and air operating personnel for over 30 years. Provides teaching courses focusing particularly on the issue of theoretical training for ground and flying personnel in the theory and design of aircraft, aircraft engines, ground technical and operational support of aircraft and airport security of flying and practical training of ground and flying personnel in these areas. It also performs short-term and medium-term courses on the type of aircraft and operational and supporting technical equipment of aviation personnel. The rise of Lithuania as a force in IT: Why Google and Nasdaq are investing here ?? Lithuania’s ICT sector is evolving, full steam ahead. An increasing number of companies have arrived in the country, drawn by its infrastructure, people, and business-friendly mindset. With some of the fastest and most affordable internet connections in Europe and a tech-savvy population ranking 16th in the world for ICT skills, Lithuania has recently attracted giants such as Google, exchange group Nasdaq, and AIG to set up shop. The country hosts 13 of the 20 largest IT companies in the Baltic States, while local estimates predict IT, laser technologies, biotechnology, nanotechnology, and materials science will account for 25 percent of the country’s GDP this year, and 80 percent of the country’s exports. Lithuania’s economy grew by 2.9 percent in 2014 and is expected to experience a 3.6 percent increase in 2015, consultancy EY estimates. What’s more, in January this year, Lithuania became part of the Eurozone. “Foreign investment in the ICT sector has grown by 70 percent between 2008 and 2013. The number of businesses has grown by 10.5 percent over the same period,” Mantas Katinas, general manager at Invest Lithuania, a government agency for attracting foreign investment, told ZDNet. “For some, IT is not their main business, but due to the talent pool and cost-to-quality ratio, they choose Lithuania for IT development,” Katinas says. He highlights one such example: healthcare and emergency response systems provider Intermedix, which last year selected the country’s second largest city, Kaunas, for its first office. The company currently has more than 200 IT staff, he says. Katinas cites the “business environment, talent pool, and highly developed ICT infrastructure” among the benefits the country offers for foreign companies. “We’re seeking to improve our business conditions even further, with a focus on ICT and R&D,” he says. The abundance of IT professionals is part of the country’s appeal. According to Invest Lithuania, there are currently 26,000 residents employed in the ICT industry, with an additional 1,600 future experts graduating every year. “46 percent of foreign investors choose Lithuania in particular for its talent pool,” Katinas told ZDNet. At the same time salaries are among the lowest in the European Union. An IT manager in the Vilnius area earned an average of €27,500 to €34,300 gross salary a year in 2013, not including bonuses, according to figures from Grafton Recruitment. Java and Net specialists with three to five years of experience earned a pay packet of €23,000 to €29,000 while mid-level technical support personnel earned between €13,700 to €16,000 a year. For the month of May this year, Payscale.com found that the median gross salary was $21,690 for a software dev in Vilnius, whereas a project manager makes about $36,000 a year, and a graphic designer $11,000. In Kaunas, Lithuania’s second city, salaries are lowerthan in the capital. The country of three million inhabitants ranks first in the European Union for mathematics, science, and technology graduates per capita. “Admissions to IT study programmes have already been expanded by 40 percent in 2015, and a further 30 percent increase is due for 2016. Moreover, we’ll soon launch a talent attraction programme aimed at young Lithuanians who study abroad,” Katinas says. The business-friendly mindset is another asset. “In Lithuania, you can start a company in as little as three days and enjoy one of the lowest corporate profit tax [levels] in the region,” Invest Lithuania’s general manager told ZDNet. Companies “are able to use a variety of support that helps them get a smooth start,” Katinas says. He lists several benefits: eight to 15 percent of salary costs for the first two years in service projects, corporate profit tax incentives for R&D, and corporate profit tax reduced by up to 50 percent. Authorities also cover up to 50 percent of employee training costs and even reimburse up to $820 per month for hiring unemployed workers. Youth employment expenses can also be reduced by up to 23.3 percent. This year, Lithuania ranked third in Europe and Central Asia, and 24th globally in World Bank Group’s Doing Business Index, which ranks the ease of doing business in economies across the globe. In addition, it came 15th in the world on the Index of Economic Freedom, an annual report created by The Heritage Foundation. Arminta Saladziene, CEO of Nasdaq Vilnius Services, says the company takes into consideration a range of factors when investing in a country. Among those are technology and communications infrastructure, a well-educated pool of talent, and the quality of life. “Lithuania scores well in all of these,” she says. Nasdaq will have 90 people in its new Vilnius office, but plans to expand the team further. Some of them are part of the company’s Global Technology Solutions group, which has hubs in the US, Sweden, India, the Philippines, and Australia. “We believe that there are good growth opportunities in all of our Baltic businesses, and we are investing,” Saladziene told ZDNet. Google also opened an office in Vilnius to be closer to the Baltic area. “We’re starting with a small team, but we hope to grow the office further, depending on the dynamics of the local digital ecosystem,” Vytautas Kubilius, Google country business development manager for Baltic States, told ZDNet. “We’re here for the long run,” the Google exec says. Uber, WIX, and Revel Systems also enjoy the country’s lower costs compared to Western Europe, and the skilled developers. “The tech sector in Lithuania has a unique combination of talent, creativity, and a willingness to push the boundaries,” Nir Zohar, Wix.com’s president and COO, told ZDNet. WIX benefited from assistance from government bodies when it opened the office two years ago. “[We] were impressed by their commitment to helping the tech ecosystem in Lithuania grow,” Zohar says. Lithuanians are working hard to develop their startups, a trend that could further bolster the country’s tech credentials. The ecosystem attracted €46m in 2014, a 35 percent increase on the year before. “There is plenty of technical talent, funding, and support from all kinds of stakeholders in the community,” Edmundas Balcikonis, CEO of TrackDuck, told ZDNet. Some have already succeeded. Vinted, a platform for second hand clothes, was given €20m last year, while YPlan, “tonight’s going out app”, has raised €21m in total last year from several investors. The startup environment is no longer a playground for students and those fresh out of college either: the average age of founders has reached 31 in 2014, while the number of entrepreneurs with bachelor’s, master’s, or doctor’s degree has doubled, according to a survey carried out by Enterprise Lithuania. 3. Siauliai University & many more. For more details Contact – LN Consultancy – +91 766 598 3000. The Executive MBA is a two-year part-time postgraduate programme designed to address the needs of professional managers. It aims to enhance their business skills. This programme is addressed to the alumni of Master’s and Bachelor’s degree studies with professional experience. The programme holds EPAS accreditation, the the highest quality standard of Mastery Class, has been ranked 7th in Eastern Europe in Eduniversal Best Masters Ranking and 17th among the best business schools in Europe in TOP MBA Ranking 2013/14. The Founding partners are: HEC Paris, London Busness School and Norwegian School of Economics. Executive MBA KATALYST – new strategic cooperation with CEU Business School in Budapest! Business Environment, Accounting for Executives, Operations Management, Legal and Political Environment, Interactions between business and its environment, Marketing, Financial Analysis, Strategy & International Management, Human Resources, Entrepreneurship & Innovation, Electives, Academic Project, Venture Project, Consultancy Project, Personal Development. EMBA programme starts in October. The second semester commences in mid-February. The course runs to the end of July of the next academic year. Modern interactive methods of education are used in our School, case studies, discussion classes, computer simulations, management laboratory, management workshop, business projects or virtual discussion groups. Students are actively engaged in learning. In every programme block, lectures are given by professors from partner institutions. An important element of the Executive MBA programme is the final project and its implementation in partner/client companies. It allows students to use the knowledge in practice. Foreign field studies provide a unique opportunity for the students to meet interesting people and develop their business skills in an international setting. In 2014 we organised a field session abroad where Executive MBA students were involved in consultancy projects. Super Katalyst Weekend is a chance for a direct cooperation within the scope of regular Executive MBA classes with a group of international students from Central European University in Budapest. One-time joint classes in Warsaw and then in Budapest combine gaining knowledge, sharing own experiences and establishing contacts abroad. These are exceptionally valuable, from the point of view of our students, part of EMBA programme. Executive MBA students may participate in this intensive, immersive module, visit leading NYC-based firms representing such sectors as finance, pharmaceuticals, clean technology and consulting. Development of soft skills necessary for conducting effective business operations is strongly practiced throughout the programme. The students have the unique opportuniy to get the individual diagnosis of their managerial competencies. • In addition to standard learning activities, our School also organises meetings with famous persons from business and political circles from the Friday@Five courses. This helps students to enter useful relations and to engage in key business problems.